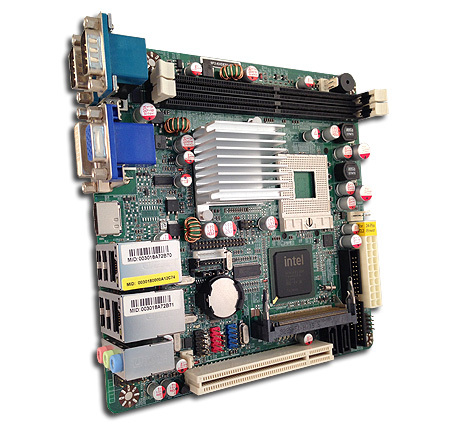 J9F2 :: J9F2-Extreme-R3 / J9F2-KHDE-R3 :: Intel 945GME + ICH7M Chipset :: Socket M (Intel Core 2 Duo / Core Duo / Core Solo Mobile) :: Mini-ITX Motherboard :: JETWAY COMPUTER CORP. Description Fix CPU smart fan issue. 1. Fix occasional shout down issue when USB devices are connected. 1. Fix power button occasional no reponse in DOS. 1. Improved DDR2 memory compatibility. 1. Fixed COM2 bug in Windows 7. 1. Fixed some fan can not spin immediately when power on. 2. Add "Onboard Lan2 Boot ROM" in BIOS. 2. Fixed power failure issue. 3. Fixed RTC alarm issue after shutdown from WinXP. 5. Add special Kingston DIMMs support. 6. Fixed DVI compatibility issue. 1. Fix PCI CardBus/PCMCIA controller caused system hang up at CP25. 2. Fix PCI VGA card caused blue screen during installing Windows XP. 3. Add HPET option in POWER MANAGEMENT SETUP. 4. Add LVDS option in ADVANCED CHIPSET FEATURES. 5. Add AHCI option ROM.